Wine: Delicious wines by a highly respected winery owned by the same family since the 1700s. 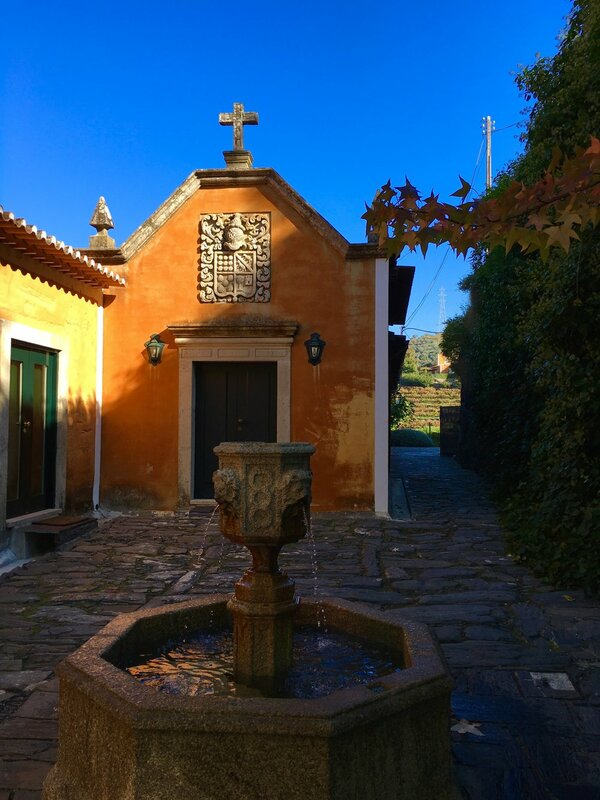 Put on the map and fostered by Doña Antonia Adelaide Ferreira, a woman, running a winery in the 1800s. An entrepreneur, an advocate for keeping vineyards under local ownership and an early adopter of technology to protect against phylloxera, she helped establish Port and the Douro as the superior, renowned region it is today. Ferreirinha was a total badass. The basic wine tasting includes 5 wines: 1. Vallado White (rabigato, códega, viosinho, gouveio & arinto), 2. Vallado Red (touriga franca (25%), touriga nacional (25%), tinta roriz (25%), sousão (5%) and mixed old vines (field blend! 20%), 3. Touriga Nacional 100%, 4. Reserva Field Blend (vines more than 100 years old, 45 grape varieties--how cool is that--predominately tinta roriz, tinta amarela, touriga franca & tinta barroca), 5. 10 Year Tawny Port (Mix of old vines).